Confession: I have never really been interested in the color blue. It just never grabs me. 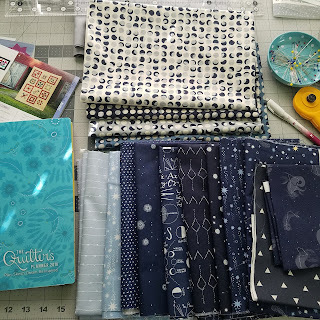 But I have accumulated quite a few blue fabrics in bundles and stash builder clubs that rarely get used. So when I discovered my girls' teacher was having a baby boy I though this would be a great opportunity to use some blue fabric! I debated for a long time about what to make. I wanted to make an original design but my ideas were nothing I felt comfortable giving to someone I don't know well. Enter the Quilter's Planner 2018 Block of the Month Sampler Sew-Along. 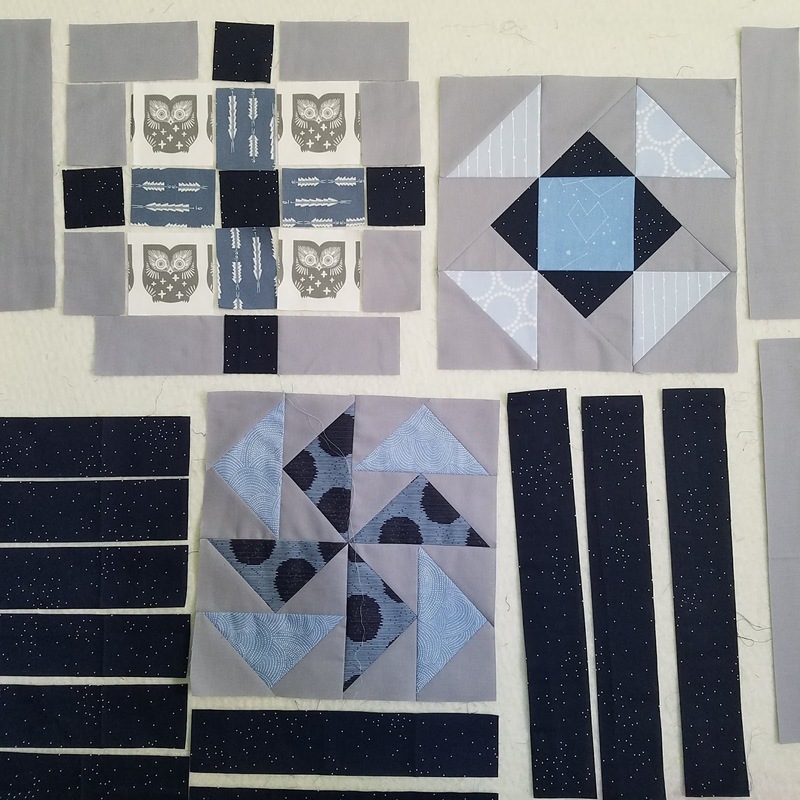 I loved sewing some of the blocks last year, so I decided to try a few blocks with a few of the blues I had pulled for the baby quilt. I ended up loving the first block so I kept going. I'm debated about sashing. Should I go with a solid Navy or Navy Sprinkle? 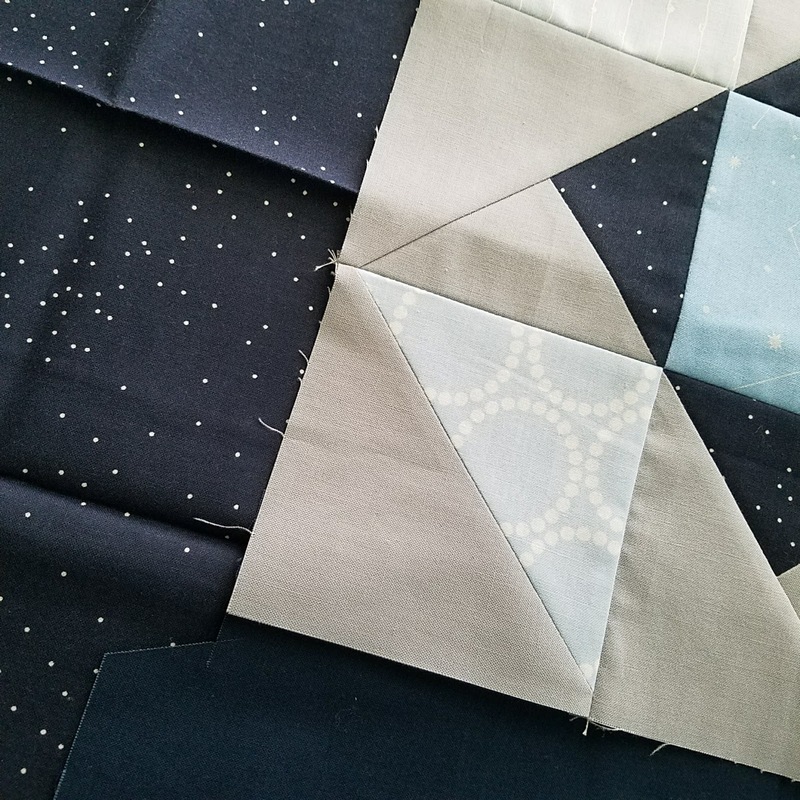 I'm almost always going to pick Sprinkle because it is my fave, but since I'm using it in a few blocks I wondered if solid Navy might be the better choice. After discussing it with one of my daughters we both agreed to go with Sprinkle! One more confession: of course I still ended up ordering more fabric to match my theme. 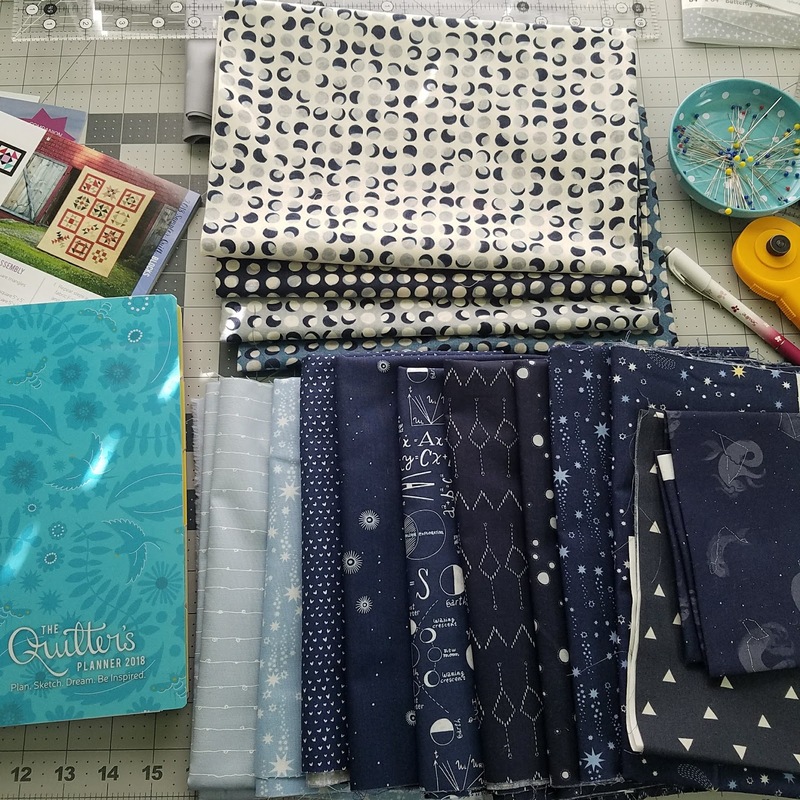 I may not love blue but I do love everything celestial -- especially moons and stars -- so I don't feel too bad adding fabric that fits this theme to my stash. Even if it is blue. If I'm going to get this sewn and quilted by mid-May I need to start hustling. This will be my April focus for sure. Beautiful blocks! 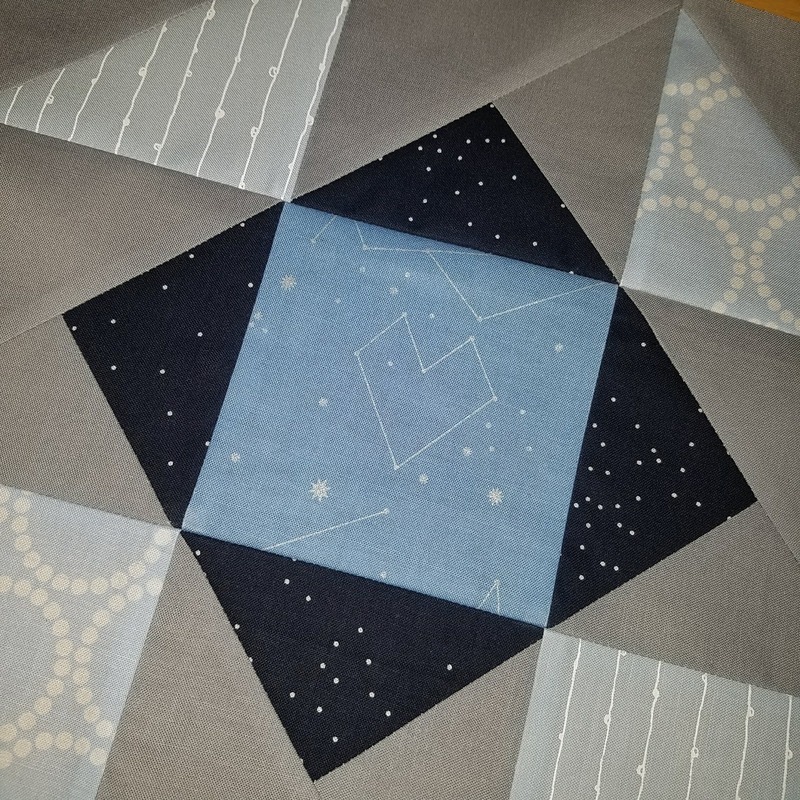 It's going to be a great baby quilt for little boy. Thank you Kate! 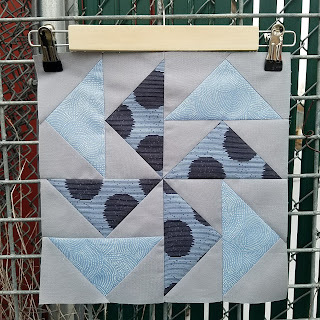 I still so new to this I've never made a quilt for anyone else. The nice thing is I get to make something I love but isn't something I would make for myself. Thanks for taking a look!